How long can investors continue to be patient with money losing Redfin? That is a hard question to answer. 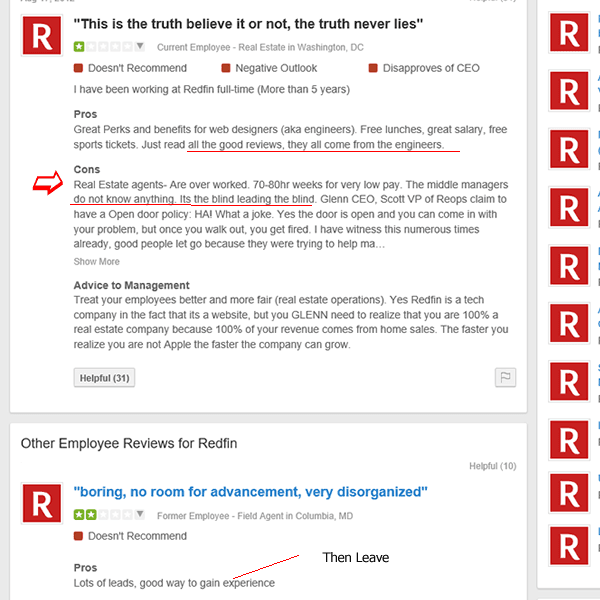 But one thing is clear, the recent announcement that Redfin is cutting its commissions is truly a sign of the struggles that this company is having. 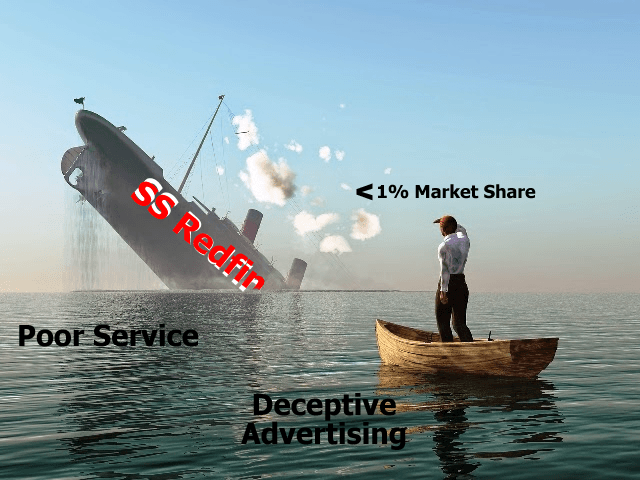 The reality is that Redfin was losing money in its old model, now they think they can turn the ship by reducing its commissions more? This will affect their bottom line even more. Last year Redfin lost money, $15,000,000 on revenue of $370,000,000. They have lost money every year since inception! 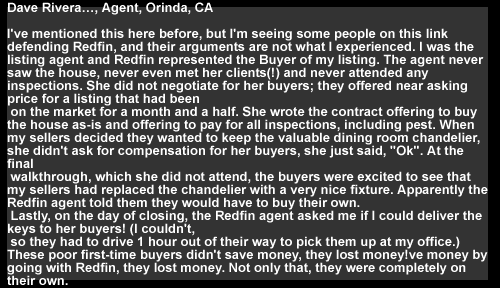 If the Redfin model was working, and their customers were happy with the service, they would not reduce their fees, would they? To me it is sending out a loud and clear message...this is our last ditch effort to survive!